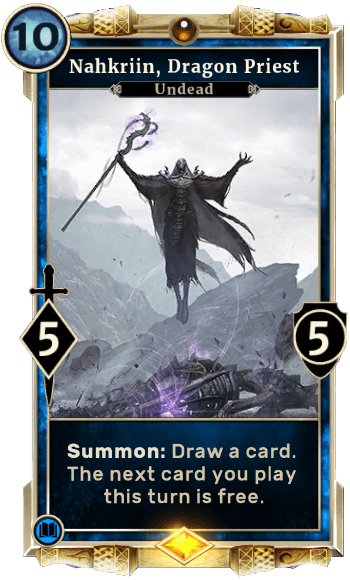 Nahkriin Dragon Priest is a Card in The Elder Scrolls Legends. Summon: Draw a card. The next card you play this turn is free.